10 A Miscellany by E. E. Cummings (Liveright) – Original copies of this collection were a bit hard to come by when it was first issued half a century ago, which was a shame, since some of the author's most inventive and least self-indulgent writing is contained in these pages, writing that rambles across half a dozen genres and forms and almost always manages to surprise. 9 One Hundred Poets, One Poem Each (Penguin Classics) – This new Peter MacMillan translation of the classic Japanese poetry collection Ogura Hyakunin Isshu feels entirely fresh and inviting, here presented in a Penguin Classic paperback perfect for taking everywhere. 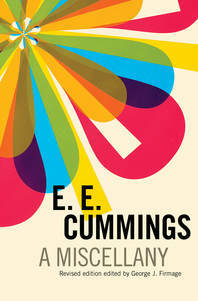 The translation is a soft-spoken wonder, managing to capture the hundred different worlds and moods of these poems. 8 How Fiction Works by James Wood (Picador) – The ten years since this little book by celebrated critic James Woods flew by like a passing minute, and the decision of Picador to re-issue the book in a lovely new paperback initially struck me as odd – mainly because the book itself had originally struck me as intelligent but unexceptional. But the reprint decision was a wise one: there's a great deal of quiet insight here that's worth a second season in the sunlight. 7 Wanderer by Sterling Hayden & Flirting with Mermaids by John Kretschmer (Lyons Press) – The folks at Lyons Press obviously know their maritime literature – not just the big guns and main currents, but the byways and pleasure outings. The sea – its moods, its dangers, and its attractions – comes alive in these two reprints, one from half a century ago, one much more recent. It's a delight to have both these books around again, to recommend to new readers. 6 True Grit by Charles Portis (Overlook) – This lovely paperback edition of Portis's great novel about a strong-willed young girl conscripting a hard-bitten old frontier peace officer to hunt down the man who killed her father is also an anniversary production, but it's a considerably prettier and sturdier edition than the novel has ever enjoyed before, a wonderful invitation both to readers new to Portis and newcomers lucky enough to be encountering this novel for the first time. 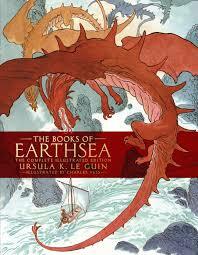 5 The Books of Earthsea by Ursula Le Guin, illustrated by Charles Vess (Saga Press) – Celebrating the 50th anniversary of the debut of Le Guin's A Wizard of Earthsea (and happening to appear, with unwanted but extra poignancy, in the year of its author's death), this gorgeous illustrated edition includes all the Earthsea novels, all the short stories, a new story, and plenty of ancillary treats, including dozens of illustrations. 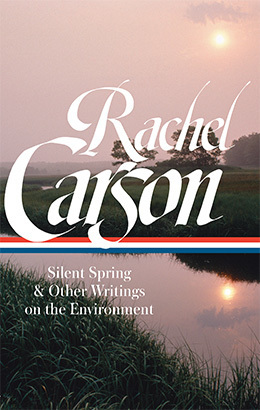 4 Silent Spring and Other Writings by Rachel Carson (Library of America) – You can always trust the mighty Library of America to show up on any list of great reprint editions, and 2018 was no exception, but the biggest treat even from them was this lovely volume featuring Carson's explosive landmark book Silent Spring plus a wide array of letters and speeches. 3 Green Mansions by WH Hudson (Duckworth Overlook) – This weird classic about a man from the “civilized” world who encounters a wood nymph in the jungles of Venezuela shouldn't, by any sane objective measure, still be in any way readable. And yet somehow it is, and it's never been presented in a more attractive edition than this one from Bloomsbury, with oddly retro illustrations by Keith Henderson. It never occurred to me before seeing this edition that I might ever want to re-read the book, much less keep it on my shelf, but this lovely edition changed both those positions. 2 Twelve Against the Gods by William Bolitho (Diversion Books) – In ever year, there's at least one reprint that's a genuine out-of-left-field surprise, and in 2018 that distinction goes hands-down to this new edition of Bolitho's 1929 book, a collection of charismatic and incredibly readable biographies of a dozen notable figures from history, each biography narrated with such gusto that the book feels as fresh as the day it was written. Kudos to Diversion Books for bringing this gem back to a new readership. 1 Song in a Weary Throat by Pauli Murray (Liveright) – Murray's intimate and stunning posthumous memoir, the best reprint of 2018, is a near-perfect blend of life story and personal view of social history, detailing not only the challenges and setbacks of her life growing up in the segregated Deep South of the Jim Crow era but also her trailblazing leadership in the watershed civil rights and women's rights struggles of the century. Murray makes it all incredible reading, and now the book has a lovingly-produced new edition to give it a new era of life.